Melanoma is one of the most common cancers in the US and is the leading cause of skin cancer death. The National Cancer Institute estimates there will be 74,000 new cases in 2015. Currently, the only established lifestyle risk factor for this disease is exposure to ultraviolet radiation (UVR), primarily from sun and tanning beds. Now, a new analysis from the NIH-AARP Diet and Health Study links coffee drinking with lower risk for the most aggressive form of melanoma. The study used data from 1/2 million non-Hispanic whites who were cancer-free and aged 50-71 when the study began in 1995. 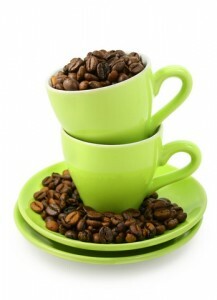 A large study on coffee making news today is good news for coffee lovers savoring your morning cup. The study finds that drinking up to five cups of coffee a day links to living longer, and lower risk of dying from type 2 diabetes and cardiovascular diseases, when compared to non-coffee drinkers. The benefit held true for drinking caffeinated and decaffeinated coffee. 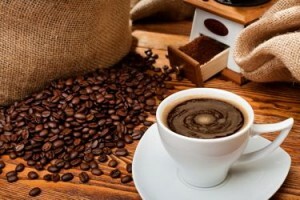 Published in Cardiology, this latest analysis adds to the evidence in recent years suggesting that moderate amounts of coffee can bring health benefits. Coffee contains several phytochemicals and nutrients that lab studies have linked to lower risk of inflammation and keeping insulin at healthy levels, both of which play a role in type 2 diabetes, as well as cancer risk. This study did not find a link between coffee consumption and cancer deaths. But AICR and World Cancer Research Fund’s analysis of the research finds there is strong evidence that coffee drinkers have lower risk of developing both endometrial and liver cancers. Having type 2 diabetes also increases the risk of many cancers. How do you like your coffee – black, with milk, sugar or iced? People around the world enjoy coffee – it’s one of the most popular beverages. And, according to the latest AICR/WCRF Continuous Update Reports, coffee lowers risk for endometrial and liver cancers. 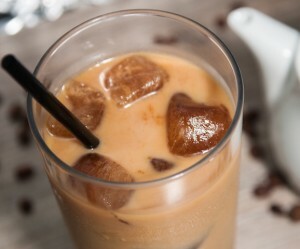 AICR recently featured a delicious cold brew coffee recipe, so that inspired me to learn how people around the world consume this beverage. I found a huge variety, both surprising and somewhat familiar. Perhaps these ideas will inspire you to find a new way to prepare your coffee tomorrow morning.